Top Row: 15-16" and 16-17"
Middle Row: 12-13", 13-14", and 14-15"
Bottom Row: 11-12". 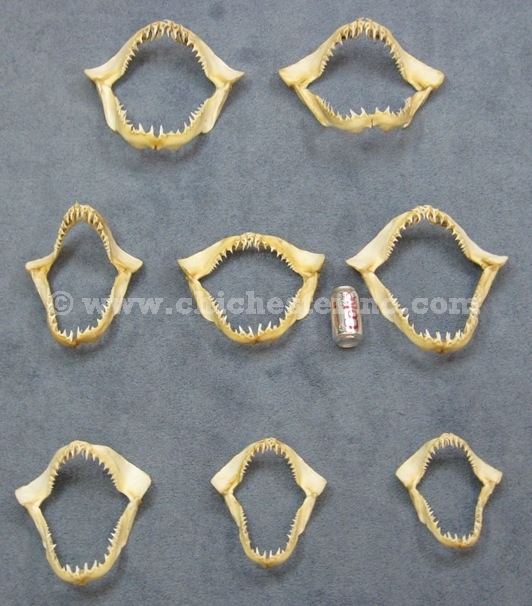 10-11", and 9-10"
These real mako shark jaws are all specimen quality and are thoroughly cleaned. 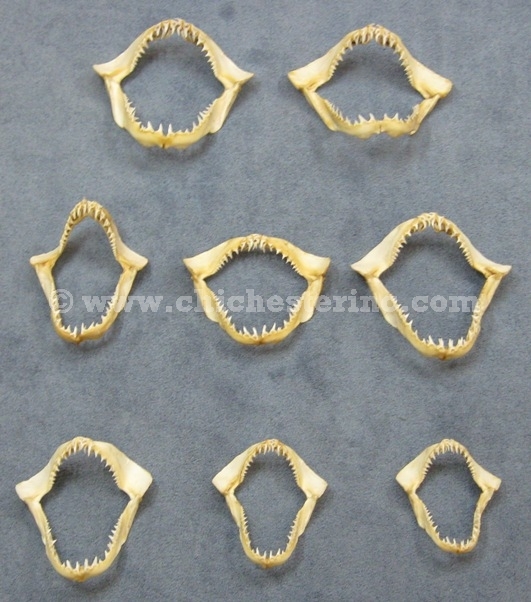 They come from common shortfin mako sharks in Baja, Mexico. Our Gxx codes denote individual pieces. 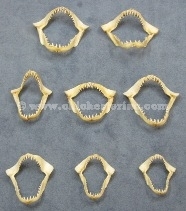 If you would like to order a specific shark jaw, please go to our Gallery to pick the exact one shown. Genus and species: Isurus oxyrinchus. Wild. These sharks are not an endangered species. A USFWS export permit is required for all shipments outside the U.S.